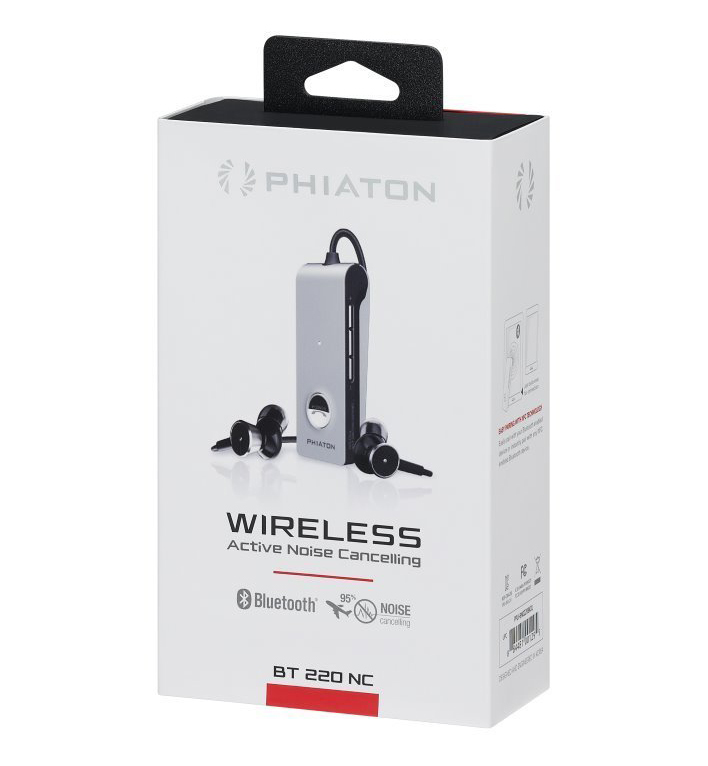 Phiaton, one of my personal favorite headphone headphone companies for making sleek and stylish headphones with sound quality as strong as their designs, has provided me with their latest Bluetooth Active Noise Cancelling earbuds the BT 220 NC. This new model takes the previous PS 210 BTNC and updates the designs, internals, connection, battery and more. These little dongle connected wireless earbuds are equipped with Bluetooth 4.0 and NFC connections, Active Noise Canceling, Multi-Point Connection and a long battery. 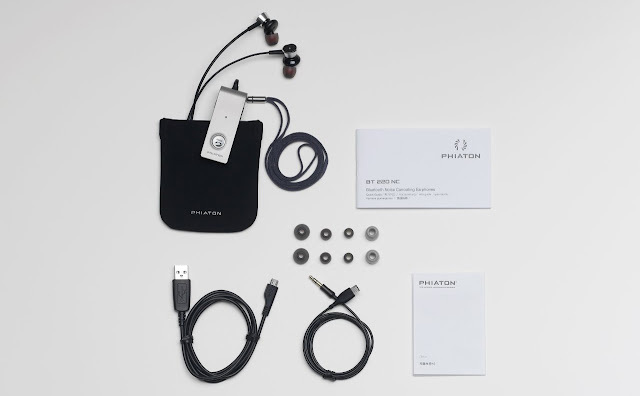 Lets see how they perform after improving and already great set of earbuds. The first thing I noticed out of the box is the design and material change from the smoothed edged plastic dongle with a spring loaded clip to the hard edged and more narrow design that used metal instead of plastic and uses a stationary clip to attach to your wardrobe. These changes are vast improvements as I felt that the 210’s had a cheaper feel in comparison to the sturdy feeling new 220's. On top of the more durable feel, the buds fit comfortably for extended listening by way of the included various sized ear tips and comply foam tips. The sound and noise canceling during the extended use is great thanks to the 14.3 MM drivers, which provides clear highs and a nice range for a variety of genres. The noise canceling is not really noticeable while listening to music, but if you are using to drown out ambient noises on a flight or trying to fall asleep in a large city, they work great by canceling out 95% of ambient noises. I have a work phone and a personal phone so the connection abilities provided are what impressed me the most. 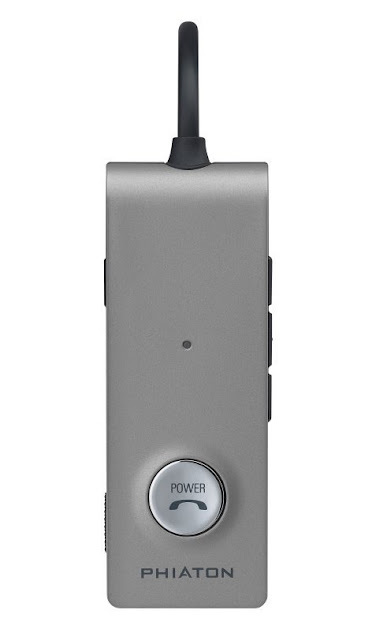 The Bluetooth 4.0 and NFC connection options are fast if not instant to set up and start listening to music or attending conference calls and the Multi-point connection to two devices simultaneously. In the end, the BT 220 NC is a damn near excellent set of earbuds. Why not perfect, that has to do with the weight of the hanging dongle that clips to my short collar or sleeve which is no slouch felt awkward using while active. The battery life is no slouch either as they tout 16-17 hours of talk or music or 300 hours of standby time to go longer between forget to recharge before use. 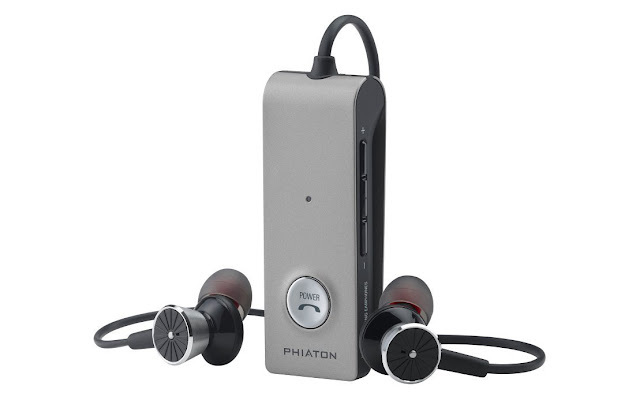 Phiaton's new Bluetooth Noise Cancelling ear buds are available now for $179.00.